Fast stop motion car ride from East to North London to Pundarika as we still maintained that Centre [the first dedicated one] for classes. Frenetic times. Cut to Sponsored Walk across Hampstead Heath/Run with Subhuti and Surata to raise money. Balmore Street at the start of this sequence was nearly all FWBO “squats” - where would we have been without squats? Much further back! Gorgeous, thanks for sharing. Loved the music. Now I know who all the hipsters in Bethnal Green stole their look from! wow, what a blast! Thanks Siddhiratna. What a smile Padmaraja had! Never one to miss a camera opportunity! Nicely done. What about some captions identifying people? I think I saw Vessantara, but I didn’t recognise anyone else. 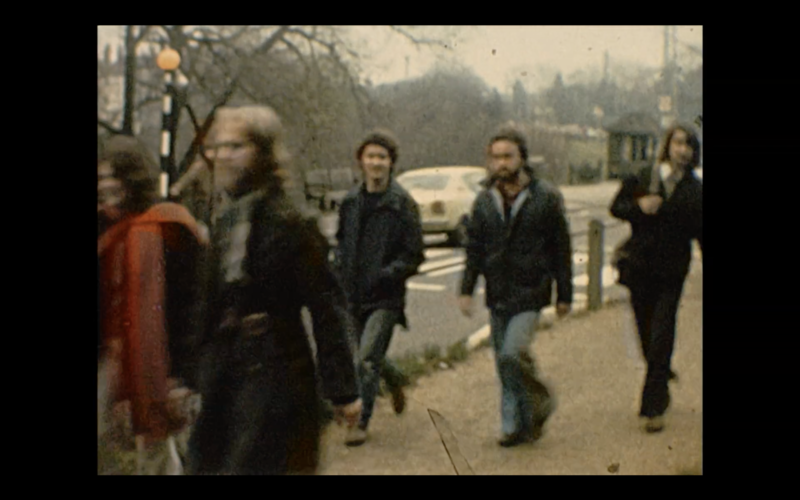 In a few decades no one will recognise anyone. So far, identified are Alaya, Ananda, Ashvajit ,Danavira, Devaraja (? ), Jinamata, Kamalashila, Nagabodhi, (ex-) Padmaraja, Ratnapani, Sagaramati, Sangharakshita, Subhuti, Surata, Vessantara. Any others? This doesn’t help me (or prosterity) at all. Here’s a way to identify people. I’ll start with a couple screen shots. Starting in my first screen shot you have Cintamani picking up a sheet of Gyproc, Danavira grinning at camera and Alaya with his back to us. In the second, it’s me holding a sheet. Soon after that (I won’t bother with more screenshots) you get a genial wave from Padmaraja, then Alaya turns to his left to Siddhiratna at the back of the truck. Then a somewhat Bhantoid Ashvajit mindfully takes a sheet with Padmaraja who enroute gives us a devastatingly winning smile. Then you get Ananda bursting in very joyfully - then a shot with me burning off some dry rot infested timber. Then a scene with Subhuti on the phone and then with the punk music he and Lokamitra trace the route from Bethnal Green to Pundarika in Archway. Yes, I’m in there too. 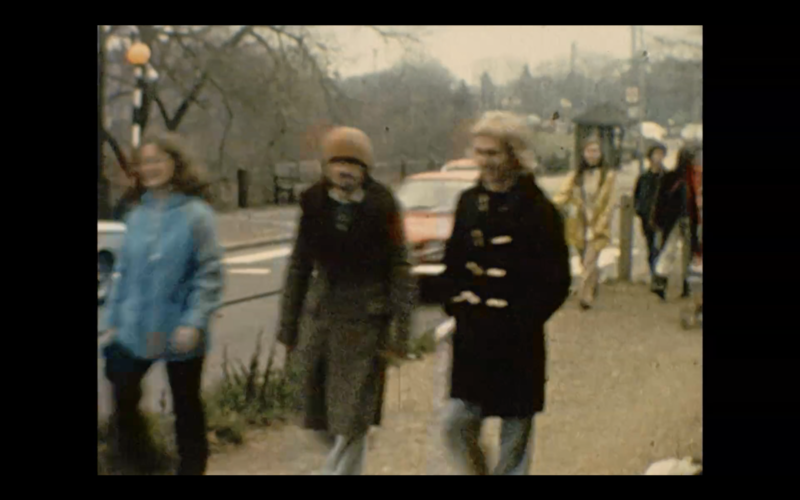 In the first shot in the market - skinny guy wearing the sky blue jumper, just before the goat.. And later, on the walk on Hampstead Heath. The person you’re calling ex-Rintrah was originally called Roger Cawkwell. He was then ordained by Bhante as Mahadeva. It was only after his subsequent resignation that he began calling himself Rintrah. Rintrah, of course is a name taken from Blake. There was also another guy around the same time who adopted the Blakean name Luvah. But although he may have toyed with the idea, Bhante never gave anyone a Blakean Order name. Fabulous! Thank you very much for this. And the music is very well chosen, though it was Beethoven and not Tchaikovsky who wrote the choral symphony. Fascinating! What a different world it was! 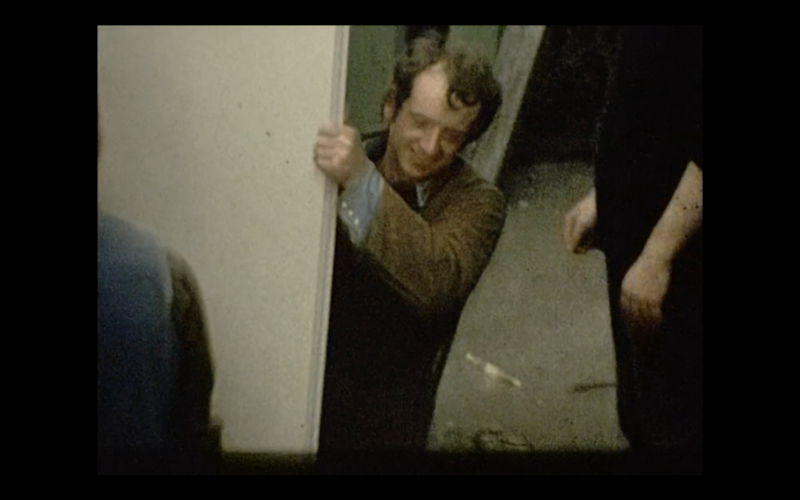 Good to have film footage of the times - really brings it alive. Wonderful. Thanks so much for that. Wow, Siddhiratna, this is far out! I didn’t remember you taking this footage. I’m so pleased you did. Lovely video Siddhiratna, very evocative. 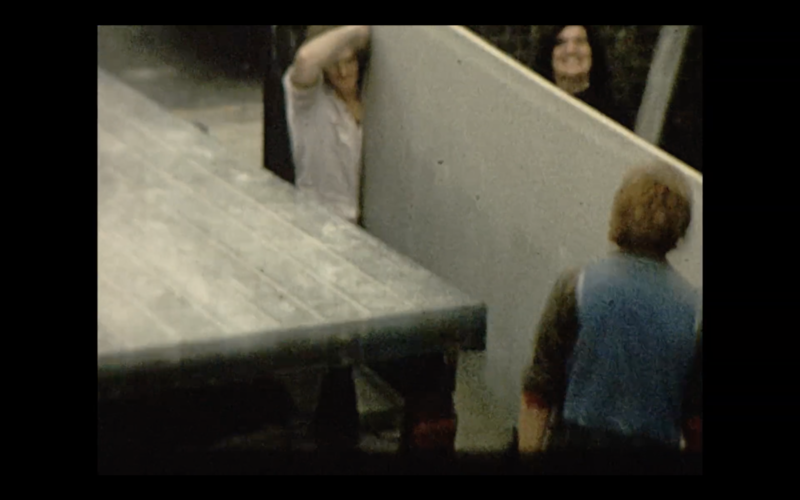 Reminded me of some of my Dad’s home movies of our family at Barsham Fayre in the 70’s!